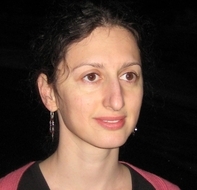 Sophia Malamud is a theoretical linguist, specialising in the study of language meaning. This includes research in formal semantics, formal pragmatics, discourse functions of syntax, and semantics-pragmatics interface. In her publications, Sophia has explored a wide variety of topics in semantics and pragmatics, such as the relationship between discourse coherence and word order in Russian, relationship between indexicality, context-dependence and reference de se, indexical-like readings of impersonal pronouns, influence of passives and impersonals on subsequent discourse, semantics of plurals, and pragmatics and semantics of speech acts and utterance modifiers in English, Russian, Mandarin, and Heritage Russian. Her mathematics masters thesis explores several basic notions in statistical decision theory. In her current research, Sophia is expanding into the area of language acquisition and attrition, in particular, the study of heritage language knowledge. (Heritage speakers are those who start learning their first language, before becoming dominant in another language before they finished acquiring the first - a frequent situation in immigrant communities). Current projects include a study of counterfactual marking in Ancient Greek, of rising-intonation declaratives and tag questions in American English, of requests and other pragmatic phenomena in Heritage Russian, and several studies of meaning and use of Standard Russian. Irina Dubinina, Sophia A. Malamud, Alex Lưu, Masha Shaposhnikova, Yan Shneyderman. "Variability in input: a corpus study of discourse markers in immigrant parents’ speech.." Panel on Variability and Change in Bilingual Language Acquisition: Longitudinal Perspectives, the Third International Conference on Heritage/Community Languages, Los Angeles, CA. February 2018. Malamud, Sophia A. and Tatjana Scheffler. "Propositions, updates, speech acts - what is involved in “won’t you?” questions tags in American English?." Workshop “Why indeed? Questions at the interface of theoretical and computational linguistics.” DGfS (German Linguistics Association) annual meeting, Stuttgart, Germany. March 2018. Dubinina, Irina Y. & Sophia A. Malamud. "Emergent communicative norm in a contact language: indirect requests in Heritage Russian." Linguistics - and interdisciplinary journal of the language sciences 55. 1 (2017): 67-116. Malamud, Sophia A. and Irina Y. Dubinina. "Building an audio-aligned parsed corpus of Bilingual Russian Child and Child-directed speech (BiRCh)." Heritage Language Institute, Urbana-Champaign, IL. 2017. Malamud, Sophia Alexandra. "What English reverse-polarity tags can tell us about Mandarin particle “ba” and vice versa: from corpus data to a model of conversation." UBC Department of Linguistics Colloquium. Vancouver, Canada. April 12, 2017. Dubinina, Irina Y. and Sophia A. Malamud. "Annotated corpus of child, émigré, and heritage Russian: a resource for study of incomplete acquisition and attrition." Heritale Language Institute, University of Washington, Seattle, WA. June 2016. Lưu, Alex, Sophia A. Malamud, and Nianwen Xue. Converting SynTagRus Dependency Treebank into Penn Treebank Style. Proc. of Tenth Linguistic Annotation Workshop. Berlin, Germany: Association for Computational Linguistics, 2016. Malamud, Sophia A. and Allyson Ettinger. "Utterance modifiers ‘ba’ and reverse‐polarity tags in the conversational scoreboard." ESSLLI 28, Workshop on Formal, Probabilistic and Typological Approaches to Discourse Particles and Modal Adverbs, Bolzano, Italy. August 2016. Ettinger, Allyson & Sophia A. Malamud. Mandarin utterance-final particle ba in the conversational scoreboard.. Proc. of Proceedings of the 2014 Sinn und Bedeutung. Gottingen, Germany: 2015. Malamud, Sophia A. and Tamina C. Stephenson. "“Three Ways to Avoid Commitments: Declarative Force Modifiers in the Conversational Scoreboard.”." Journal of Semantics 2014. 0 (2014): 1–37. Malamud, Sophia A.. "Dynamics of conversation and the emergence of illocutionary force. (invited keynote talk)." Sinn und Bedeutung 2014., Universität Göttingen, Germany.. 2014. Ettinger, Allyson and Malamud, Sophia A.. Mandarin utterance-final particle ba in the conversational scoreboard.. Proc. of Linguistic Society of America Annual Meeting.. Boston, MA: eLanguage.net, 2013. Ettinger, Allyson and Sophia A. Malamud. "Mandarin utterance-final particle ba in the conversational scoreboard.." Congrès International des Linguistes, Session on the Semantics- Pragmatics Interface (org. by K. von Fintel and D. Beaver), Geneva, Switzerland. 7/25/2013. Malamud, Sophia Alexandra. "(In)definiteness-driven typology of arbitrary items." Lingua 126. 1 (2013): 1-31. Beck, Jana, Sophia A. Malamud, and Irena Osadcha. "A semantics for the particle ἄν in and outside conditionals in Classical Greek." Journal of Greek Linguistics. 12. (2012): 51-83. Malamud, Sophia Alexandra. "The meaning of plural deﬁnites: a decision-theoretic approach.." Semantics and Pragmatics 5. 3 (2012): 1-58. Malamud, Sophia. "Impersonal indexicals: one, you, man, and du.." Journal of Comparative Germanic Linguistics 15. 1 (2012): 1-48. Sophia A. Malamud and Tamina C. Stephenson. Three Declarative Force Modifiers in the Conversational Scoreboard.. Proc. of Sinn und Bedeutung 16. Utrecht, the Netherlands: MIT Working Papers in Linguistics, 2012. Malamud, Sophia A. & Tamina Stephenson. Three Ways to Avoid Commitments: Declarative Force Modifiers in the Conversational Scoreboard.. Proc. of Semantics of Dialogue. Los Angeles, CA: 2011. Malamud, Sophia Alexandra, in collaboration with James Pustejovsky, Irina Dubinina, and Anna Rumshisky. "Towards an Annotated Corpus of Heritage Russian: Meaning and Grammar.." Panel discussion on Corpus Research at the annual meeting of the American Association of Teachers of Slavic and Eastern European Languages, Los Angeles, CA. January 2011. Dubinina, Irina Y. and Sophia A. Malamud. "Emergent communicative norm in a contact language: indirect requests in Heritage Russian.." New Ways of Analyzing Variation 39, San Antonio, TX. 11/05/2010. Malamud, Sophia A. and Iryna Osadcha. "Towards a formal semantics for modal particle AN in Ancient Greek." Workship on Ancient Greek & Semantic Theory, Nijmegen, the Netherlands. 12/18/2010. Malamud, Sophia A. and Tamina Stephenson. "Modifying conversational moves: the case of rising declaratives.." Wokshop on Prosody, Syntax, and Information Structure 4, University of Delaware, Newark, DE. 09/18/2010. Malamud, Sophia A.. "Specificity as referential anchoring in Russian: shifting speakers and Hamblin sets.	." Specificity from different points of view, Stuttgart, Germany. 09/02/2010. Malamud, Sophia. "Impersonal pronouns and pronominal paradigms." Thirty-fourth Penn Linguistics Colloquium, Philadelphia, PA. March 2010. Malamud, Sophia. "Conjunction, negation, and other NPs cross-linguistically - a Decision Theory approach." Games and Decisions in Pragmatics III, Center for General Linguistics (ZAS), Berlin, Germany. November 23-24, 2007. Malamud, Sophia A.. (Non)-maximality and distributivity: a Decision Theory approach.. Proc. of Proceedings of Semantics and Linguistic Theory 16. Tokyo, Japan: CLC Publications, 2006.